Whether you prefer a soft or a hard copy, there are many ways you can get yourself a copy of You Have To Be Gay To Know God. Please note many of these buttons lead to external sellers; these links were functional when this site was built. 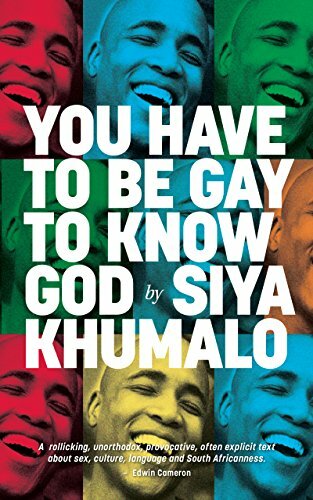 Although You Have To Be Gay To Know God is available at all good bookstores and book sources, you can also place an order in the form on this page to have a copy delivered anywhere in South Africa for a total price of R285.00. At the moment, we will accept EFTs to the below bank account (we will gradually make other payment options available). Please allow up to 4 days for your book to be delivered. Thank you for ordering your very own copy of You Have To Be Gay To Know God. If you are in South Africa, please give about 3 days for delivery. Webmaster’s tip: right-click on the button labeled “Buy On Amazon” and select the “open link in new tab” button to avoid leaving this website for Amazon’s page while we are enjoying the pleasure of your company.